Winners were announced last night (Tuesday) at the Grosvenor House Hotel on Park Lane, at an awards ceremony organised by Packaging News. 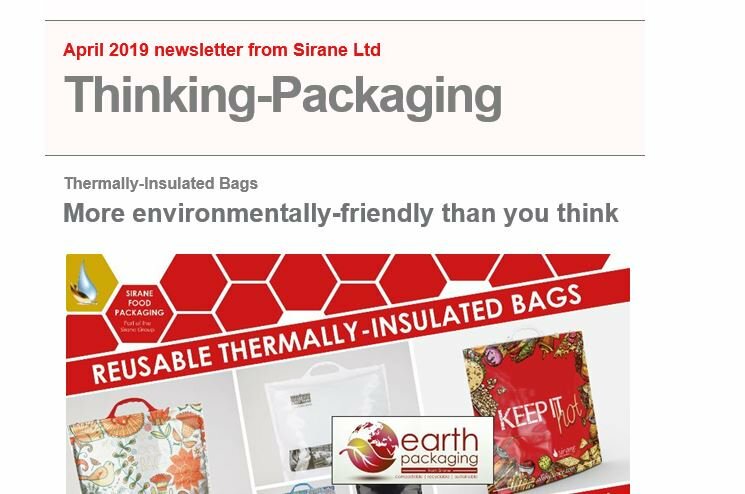 Simon Balderson, Sirane MD, said: “The Earthpouch is a fabulous product, and it’s great that the judges at the UK Packaging Awards have recognised this. Sirane’s Earthpouch – developed in conjunction with B&G Products – was a couple of years in development, and Troofoods launched in the new year. Sirane recently acquired B&G Products, which is now part of the Sirane Group. Troofoods were invited to the awards ceremony as guests of Sirane, having been involved with the project from the beginning, and joined Simon Balderson, Peter Ralten and Vince Larson on stage to collect the award. Peter Ralten, from B&G, said: “Over the last few years food brands and retailers have asked us to come up with an affordable recyclable pouch solution. It’s great news to see the work we have done on this product recognised in such a way. “It was nice that Troofoods were able to join us to share in our success – after all they were the first company to make the switch to plastic-free packaging. We’ve also recently added a pouch-filling line to our offering, the M7, which is compatible with the Earthpouch as well as a range of other materials. We’re already working on enhancing and expanding the Earthpouch range, including higher-barrier pouches, ovenable versions and more – the Earthpouch is not just a product, it’s the start of a whole range of plastic-free products.